September 24: The Philadelphia Flyers unveil Gritty, complete with elaborate backstory. Locals are immediately skeptical, noting his somewhat unsettling appearance. 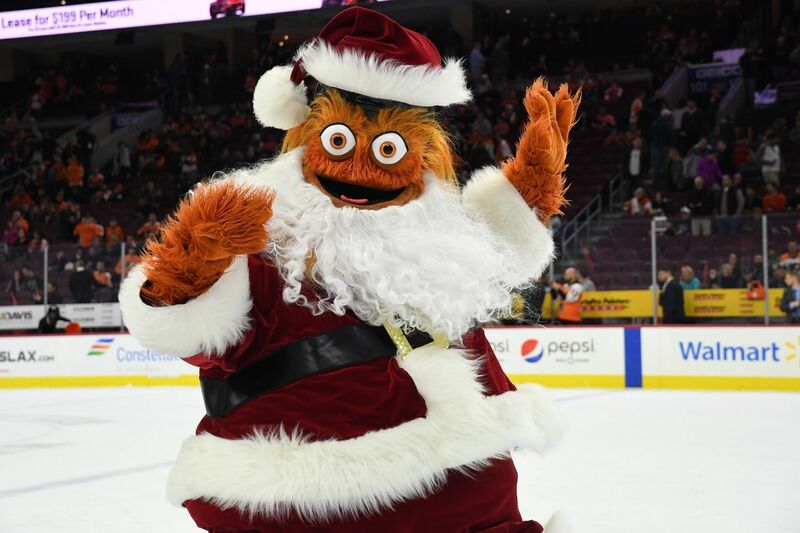 Is Gritty just a weirder, oranger version of the Phillie Phanatic? September 25: Folks from outside of the Philly area catch wind of Gritty, and begin to relentlessly mock him online. A lot of the insults tossed at Gritty are just unnecessarily rude, and overly fixated on his dead-in-the-eyes stare. September 26 – present: Philly takes the insults extremely personally, and jumps to Gritty’s defense. We’ve embraced him as one of our own; he’s the hero we didn’t know we needed. He’s been honored by City Council, he received thousands of write-in votes for Governor of Pennsylvania on Election day, and local business have gone all out creating Gritty-themed products from donuts to beer. He’s even been the subject of not just one, but two playlists here on The Key. It’s getting to be about that time of year when holiday music surges from being “too early” all the way to “in our face 24/7.” Which, for those of you who love the overwhelmingly Christmas-centric sounds that will be piping into every shopping mall, supermarket, and train station for the next month, this might not be a bad thing. But for others it can get, as we like to say, a bit much.